These stickers are great for any occupied bedroom in your home. 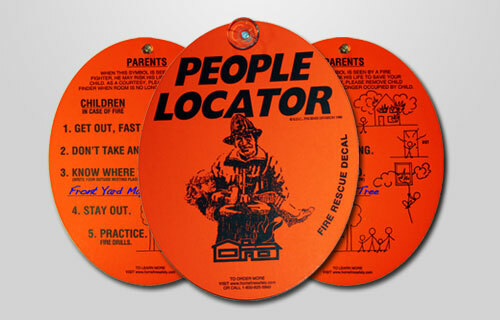 THE PEOPLE LOCATOR is a removable fire rescue window decal! It is attached to the inside of the window by a simple suction cup. THE PEOPLE LOCATOR also serves as an educational piece. The family meeting place in case of fire can be written where it says, KNOW WHERE TO GO. 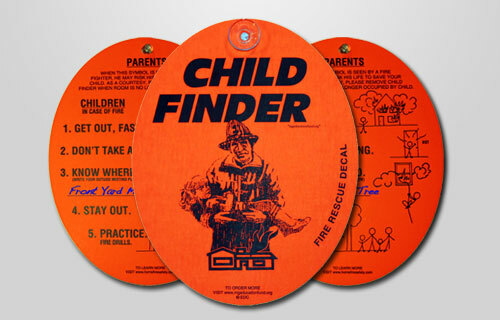 THE CHILD FINDER is removable fire rescue window decal! It is attached to the inside of the window by a simple suction cup. THE CHILD FINDER also serves as an educational piece. The family meeting place in case of fire can be written where it says, KNOW WHERE TO GO. 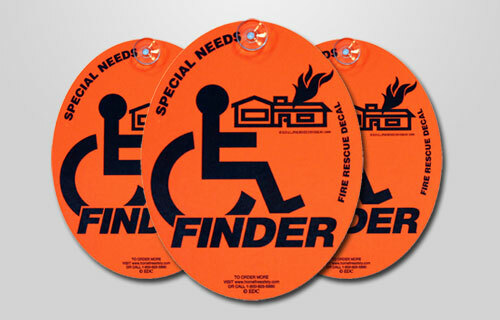 THE SPECIAL NEEDS FINDER is for people with disabilities. If someone in your household is living with a disability, this simple precaution could save their life in the event of a fire.